People Understanding & Undoing Racism...to Stop Black Global Cultural Genocide | PUUR's mission is to share the General History of Africa written by UNESCO to help Blacks reclaim their cultural identity; rectify the ignorance propagated by white writers, the slave trade, and colonization; counter the affects of forced assimilation / acculturation; and promote an African perspective with which to analyse current events. This ‘new’ history of Africa is mentally, emotionally, and psychologically transformative as, for example, it was for Detroit Red who emerged Malcolm X after learning his African history. Once intellectually ingested, like miracle substance, Blacks and non-white people of color are equipped to counter, neutralize, and abrogate the system or racism/white supremacy…once and for all. Preventing the Destruction of African Cultural…called ‘Cultural Genocide’. The Goal of Racism/white Supremacy is the Cultural Genocide of All Non-whites, People of Color, People of African Descent. So, the mission of PUUR is to provide a prescription for surviving the 21st Century. The prescription is relatively simple, learn world history starting 1-2 millions years ago…technically, that’s Black or African history since the 1st man was Black and originated in Africa. The white man didn’t evolve or come into existence until some 30,000 years ago. So, world history and all its events were the making of Africans. Before Cheikh Anta Diop, the historian, anthropologist, Egyptologist, linguist, physicist, and politician who studied the human race’s origins and pre-colonial African culture, Matriarchy…white scholars, Johan Bachofen (a US anthropologist), Lewis M. Morgan (a German macrohistorian), and Friedrich Engels (a German philosopher, social scientist, journalist, and businessman) said Matriarchy preceded and was inferior to Patriarchy. Diop’s university thesis, for which whites reluctantly granted him a doctorate, proved that Patriarchy was not superior to Matriarchy but was indeed, not only ]different but was the 1st, oldest, [and still in existence in 2017]. In his thesis, he explained the characteristics of both cultures, explained how the frigid climate of Europe forged Patriarchy and how the hot climate of Africa forged Matriarchy. And, he explained that Patriarchy was the culture of white, cold climate people and that all other peoples were of hot climates and, therefore, had brown/black skin and shared a common ‘hot climate’ culture…Matriarchy. His thesis was published as The Cultural Unity of Black Africa: The Domains of Matriarchy and of Patriarchy in Classical Antinquity. Bachofen’s, Morgan’s, and Engels’ theories were rooted in the theme, “mama’s baby, papa’s maybe, ” where the uterine connection is undeniable, giving the mother strong prominence as the source of life, and Matriarchy an equally solid basis with Patriarchy as a legitimate culture. So, Matriarchy is not only the 1st, but oldest culture on the face of the earth AND, it is the culture of warm/hot climate people…who happen to be the global majority…and whites, the global minority. Bio:Jacklyn Cowan-Morgan, LPC is a Neutralize-Racism Consultant. 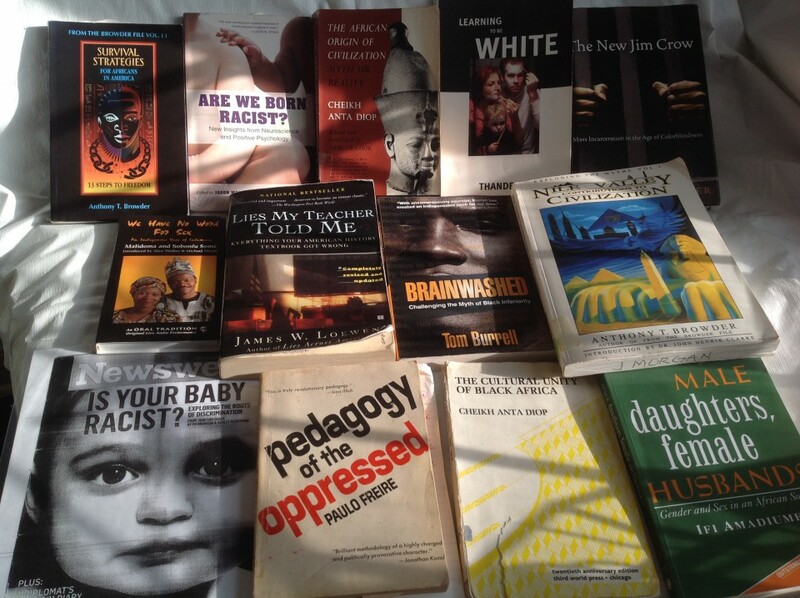 She’s been studying racism/white supremacy from a psycho-social, cross-cultural, anthropological perspective since the early 1980’s when she realized she’d been mis-educated. She was raised in segregated District of Columbia, gained a BA from Howard University and a MA from the University of the District of Columbia. She has two children and 5 grandchildren…about whose future she is gravely concerned because of the impending ‘cultural genocide’ of People of Color…in one generation. Learning African history and culture and, then, living the culture. unintentionally, and I am stunned why this twist of fate didn’t came about in advance! Thanks for your comment…my 1st; encouraging…am new at this; trying to get acclimated.